The power of springs is their tension, which must be periodically adjusted. 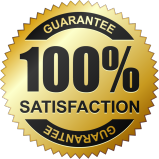 For such services, rely on the professional services offered by our Toronto Garage Door Repair. Spring power can be very dangerous if not handled right. Don’t engage in tasks which might end up hurting you. 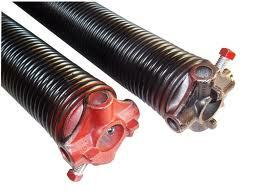 We offer affordable garage door springs repair in Toronto, Ontario, and help our clients in a timely manner. Our technicians can fix, adjust and replace all types of springs and respond as fast as possible regardless of the problem. Your overhead door won’t open if the springs are broken. Have you ever try to manually open a door with the torsion or extension springs broken? It’s too heavy. Springs provide the power and enable the movement of the door. They also make sure the door will remain open at any height and will close down smoothly. With our services, we make sure your springs are in tip top condition at all times. We install the new ones, add a second torsion spring if your door is too heavy, offer advice, and provide emergency broken spring repair. During spring installation, our technicians make sure the springs are properly connected and tensed. You can also rely on our assistance in finding the right spring size and type for your door. Springs work in a different way. Extension spring coils extend and store power when the door is in its closing position. They use this power to open the door later as their coils contract. Torsion springs unwind and create torque, which is transferred to the shaft (the metal rod going through the spring), and from there is transferred to the cable. This is how torsion springs open the door. 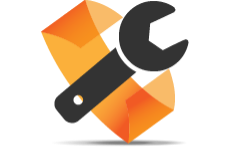 Over the years, the coils of both types of springs get damaged and that’s why you will need our extension and torsion spring repair services. Our spring experts add tension to empower the spring system. 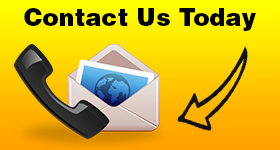 Apart from making adjustments, we also provide garage door spring replacement. Customers can depend on us whether their spring is already broken or not. We replace, fix and adjust residential springs, and respond in a timely manner.